The twist became the most famous dancing genre in the fashionable bars for the young people. The Italian singers spreading its rhythm (Edoardo Vianello, Gianni Morandi, Adriano Celentano, Little Tony, Rita Pavone, etc...). A turntable and some friends: let's party! 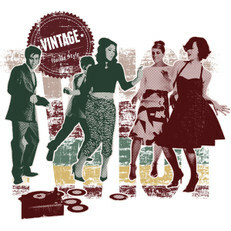 And don't forget your Vintage.it Italian Twist Party T-Shirt!